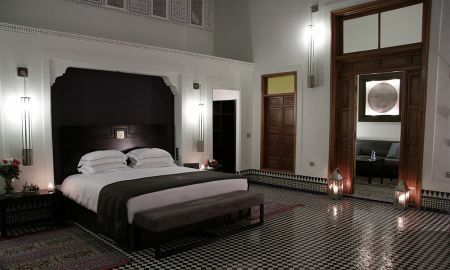 Palais Amani is a wonderful 5-star Riad located in Fes. 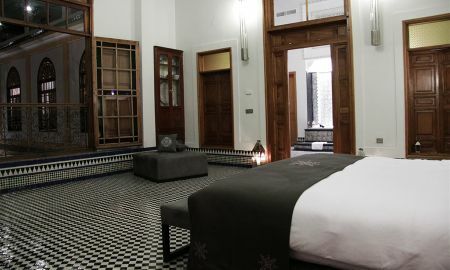 This luxury Riad combines modern comfort and respect for the Moroccan refinement with a Moorish architecture and an art-deco style. The etymology of the name Riad means "garden." Palais Amani is surrounded by spaces decorated with plants and aromatic citrus. The centre of the garden is occupied by a sumptuous fountain. The water flowing and the bird song allow you to escape your daily routine. Palais Amani houses 14 spacious rooms, each with its own décor and style. The general design is characterised by the traditional Moroccan style which meets the criteria of great palaces' modern comfort. 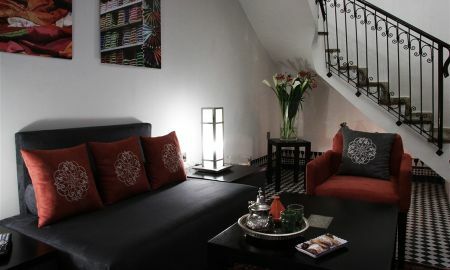 This Riad also provides a gourmet restaurant that serves traditional Moroccan dishes and French cuisine. You can enjoy a lounge, a library and a wellness centre with a traditional Hammam. You can also spend pleasant moments on the terraces located on several levels. The Palais Amani is located in Fes, near Nejjarin Fondouk, the University of Al-Karaouine and the Tombs of the Merenides. Medersa Bou-Inania and Kairaouine Mosque are also very close to the Riad. 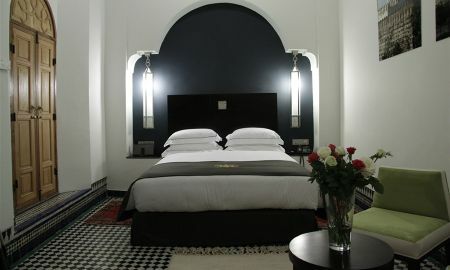 The famous "Golden Triangle" is located just few steps from the Riad in the centre of the old Medina of Fez.